I have been really pleased with the interest people have shown in the School Run Colours linky over this last week. Although I still don't have many people linking in, I like that the concept has sparked some interest in the blogosphere. I started this linky to try and make the mundane a little more interesting. The idea was to walk to school (or cycle or scoot). Anything but take the car. And try and spot colour while doing so, letting it inspire you to be creative. Now, quite a few of my readers have commented that they do not do the school run. You can still take part in the linky. As long as you are walking, it does not matter where to. You could be walking to work, or to the shops or to run an errand. If you could have taken the car, but have opted not to, you then have the opportunity to appreciate your surroundings. And that is what this linky is about. So whether you do the school run or not, you are very welcome to join in with School Run Colours. 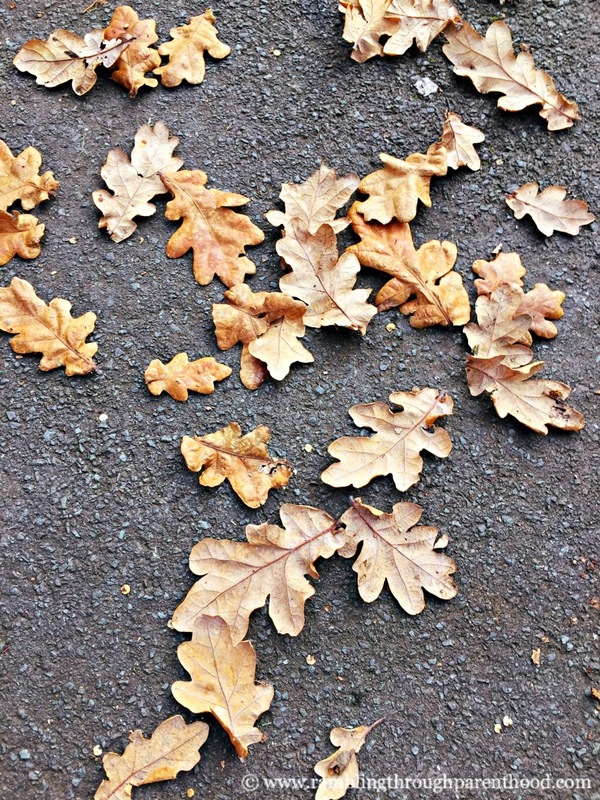 My school run colours this week capture fallen autumn leaves. I would love it if you added the School Run Colours badge to your post, and if you followed me on twitter (@vaichin). 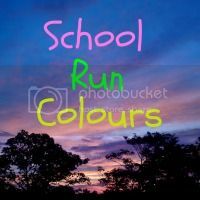 Please use the hashtag #SchoolRunColours when sharing your posts on social media, so we can spread the word. I will be pinning all linked up posts to my Pinterest board School Run Colours. It would be great if you could follow the board too. I love this linky...it's such a nice idea to look for those colours and sparks of life around us. Love fallen leaves. I keep forgetting to take some snaps, always in such a rush - will try and remember I promise! Sounds like a lovely idea, makes the school run less mundane and more fun! Lovely photo. I've been sweeping up lots of leaves like this today. I've an Oak tree in the garden and they scatter everywhere. Very pretty but very slippery when they're wet. I love the leaves! We spend hours every Autumn leaping through the piles they make at IBM (and ruining their work). Beautiful!